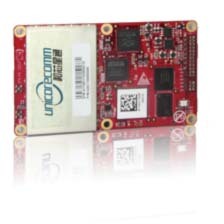 Unicore released UB380 GPS/GLONASSS/BDS high precision board at ION GNSS+ 2015, held this week in Tampa, Florida. UB380 is a 384-channel, multi-GNSS receiver that supports GPS, GLONASS, and the BeiDou Satellite System (BDS) based on Unicore’s multi-GNSS system on a chip. The receiver board can support GPS L1, L2, and L5; GLONASS L1, L2; and BDS B1, B2 and B3. According to the company, the UB380’s tri-frequency real-time kinematic (RTK) engine can process triple-frequency of BDS and GPS and dual-frequency GLONASS observation data, which can significantly reduce the initialization time, improve position accuracy, and enhance reliability in difficult environments such as city canyon and canopy, as well as make the long baseline RTK possible. • Compatible with Industry Standard GNSS boards.